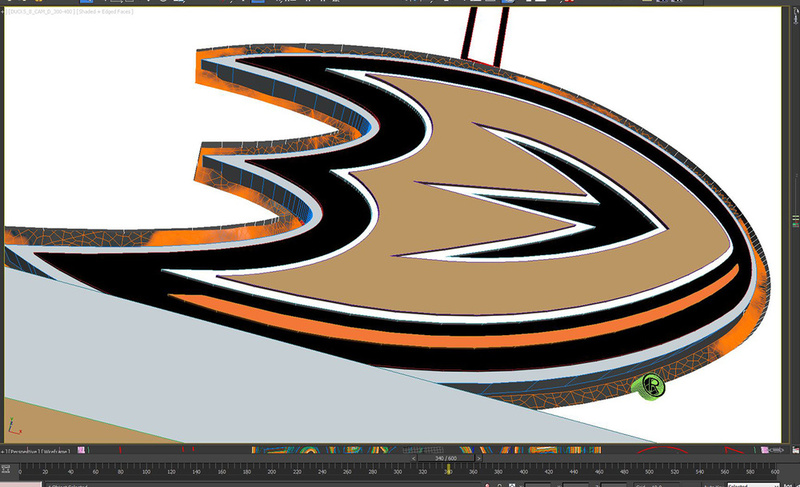 We couldn't be more honored to work with the Anaheim Ducks again! 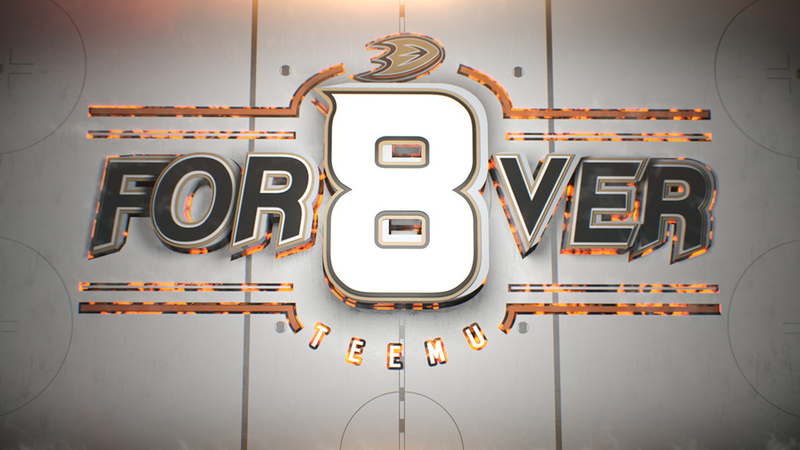 To be a part of the historic Teemu Selanne Tribute Event at Honda Center was a dream for us here at Related Grey. We're huge sports fans and to be involved in the visual production elements for our home town teams is what it's all about! We can't thank the media production team enough over at the Ducks headquarters! Check out some of our work and the killer Ducks media videos below. 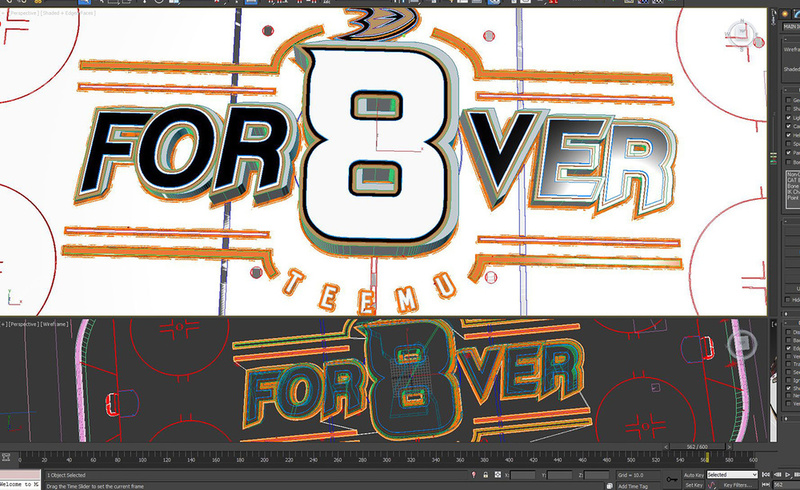 Above is a quick montage of the titling and CG Logo Event elements we built out with the ducks team. 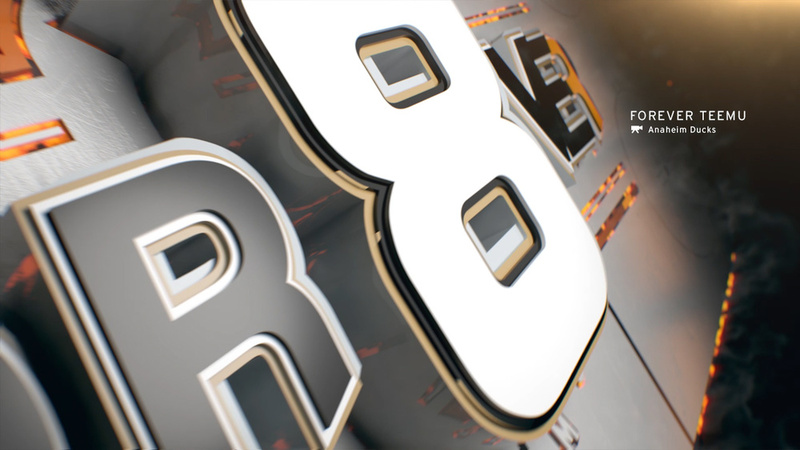 The Forever 8 logo was already built and we were tasked to incorporate it within the events media screens, and special drop down LED displays. We wanted to stay true to the Ducks clean iconic branding elements and recognizable look and feel. Adding hints of molten lava and smoke effects were some of the pieces we hoped would make the logo stand out even more. We had a killer time working with various VFX simulations. Smoke, liquid and thinking particles are a huge plus in these types of environments. Every project definitely has its challenges, this time around it was pretty smooth sailing. We had the opportunity to utilize multiple media spaces, massive screens and LED displays in and around the the Honda Center. We always strive to be as flexible as possible when it comes to custom delivery specs. It's always worth spending the extra time and effort making sure you've maximized the visual impact during a massive event such as this one. Working with the Ducks media and marketing team is always a good time. They're always looking at doing something new and inventive. There's still plenty of hockey to be had this season. Check out the rest of there schedule: GO DUCKS!